she looks EXACTLY like her mommy. ***side note: this picture is actually of me. 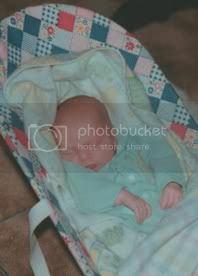 when i was 3 weeks old. it could easily be Isabella.